Dealership tells you that you need a new module ? Was your vehicle in an accident? If you answered, “Yes,” then send your module for the needed airbag module reset. Even small accidents trigger electronic codes about the accident in the airbag module. These codes are subsequently stored in the module. Our services reset your Airbag Light and clear any and all crash codes inside your Airbag Control Module. With our Airbag Module reset, there are no codes, and therefore no Airbag Light trigger. Do you hate Warning Lights? If you answered, “Yes,” with our service your vehicle’s Airbag Light turns off. Stop buying used or new Airbag Modules and send to us yours for reset. Most importantly, our Airbag Module reset service electronically registers the module to your vehicle’s VIN. If, however, you buy a new Airbag Module from the dealership, they must program your vehicle’s VIN which is costly and takes more time. That’s why it’s best to reset your original Airbag Module with MyAirbags! You’ll save time & money and avoid costly reprogramming and delays at the dealership. We guarantee our services 100% or refund your money back. Airbag Module Reset Services is the right solution for this problem because vehicular accidents trigger the Airbag Light. Similarly, these Airbag Modules store accident information and also can trigger the seat belts to lock. This condition requires a Airbag Module reset. Besides this, if the seatbelts locked up that will require repair (see Seat Belt Repair). If your vehicle was not in an accident, there are a many other reasons why your vehicle’s airbag light turns on. Our skilled technicians at MyAirbags provide high-quality Airbag Module Reset services for customers nationwide. Please see the FAQ Section. 1. Why is Airbag Light On? If you know your vehicle was in an accident, then MyAirbags can absolutely help you and reset your airbag module. We provide Reset & Return service to reset airbag control modules. If your vehicle was in an accident, we recommend that you send your original module to us for reset to avoid additional trip to the dealer for coding. Most of the late model cars will have partial VIN stored in the airbag control module. If your vehicle has NOT been involved in an accident. We recommend that you have your vehicle scanned by a body shop to see what code you have. If they tell you that the airbag module is bad and not because of an accident then we do provide replacement srs airbag control modules. 2. Why Did the Airbag Light Just Turn On One Day? If the airbag light in your vehicle just turned on without an accident, there may be an issue with the airbag system computer, or there may be a bad component within the airbag system. If your vehicle has NOT been involved in an accident, we recommend you watch the accompanying tips and tech video and have your module scanned by a body shop tech before mailing your airbag module to us. Install airbag control module last, after all repairs are done. All airbags, impact sensors, seat belts and other SRS components must be installed and connected properly. The reset SRS airbag control module must go back into the same vehicle that it came out of. Airbag control modules are programmed to vehicle VIN number. If module is not original then you may need to have additional programming done on the vehicle to initialize/calibrate the module to the vehicle. Install all Airbag SRS components (except the module itself) and reconnect them properly first. 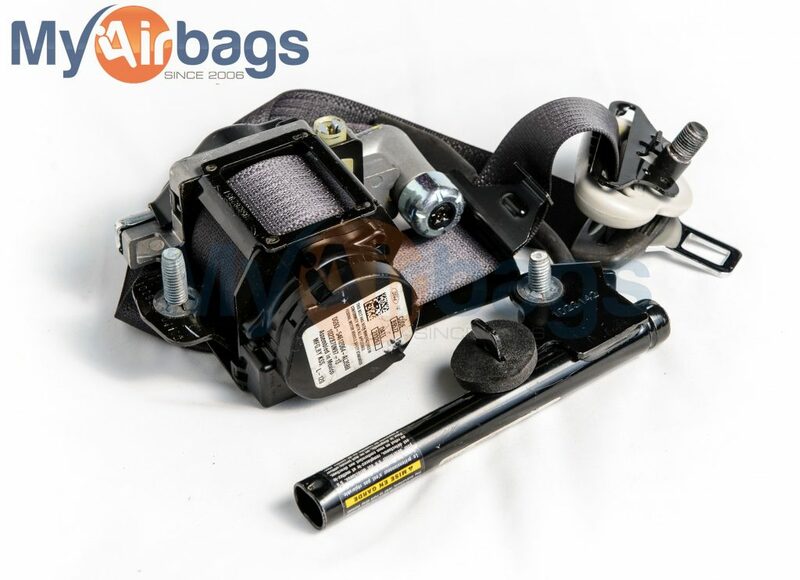 SRS Installation components include: airbags, all seat belts, the clock spring, impact sensors and fuses. Once the battery is disconnected, airbag control module MUST BE securely reinstalled and bolted down tightly with all bolts. “Securely” is defined here as completely fastened i.e. with the use of tools: wrench, ratchet wrench or torque wrench (key is: beyond hand threaded). Lastly, connect the wiring harness plugs to the airbag control module and reconnect the battery. 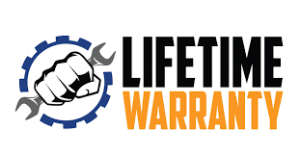 If the vehicle hasn’t been in an accident and the airbag light turns on it usually means there is a connection issue with the seat belt, the airbag, or the impact sensor, or that one of these components needs to be replaced. 3. Should I Send the Airbag Module for Reset or Buy Used? Our certified technicians at MyAirbags recommend resetting your vehicle’s airbag module if the vehicle has been involved in an accident. Resetting the airbag module diminishes the need for any additional programming, and when properly installed into a working system, the airbag light will turn off. When you get the module back from us it is factory reset and is exactly like new and is a good module, free from all hard codes and soft codes. If your airbag light is still on after reinstalling correctly, then there is a problem with one of the connections or bad airbags, seat belts, clock spring and/or impact sensors and there would be a soft code stored in the module identifying the issue. Check that all SRS components and connections are good. Also, if you have purchased used parts then make sure that they were not from a flood vehicle. To summarize: if you still have an airbag light on after receiving ours and following the rules for correct installation, then there are additional problems that only a body shop tech can address—it is not an airbag module problem. 4. 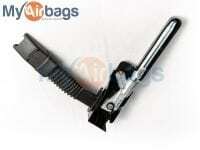 Does MyAirbags Sell Replacement Airbag Modules? 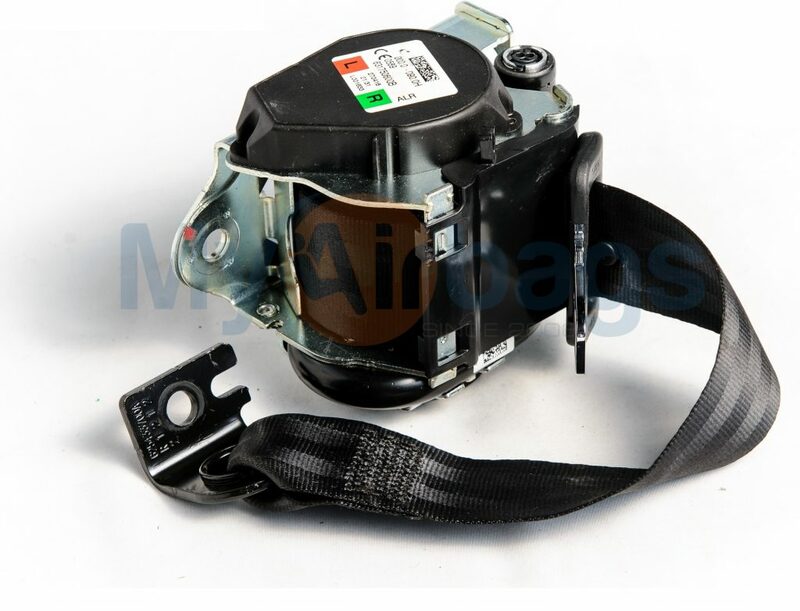 MyAirbags does sell replacement airbag computer modules. 5. What if I’ve Already Purchased a New or Used Airbag Module Replacement? 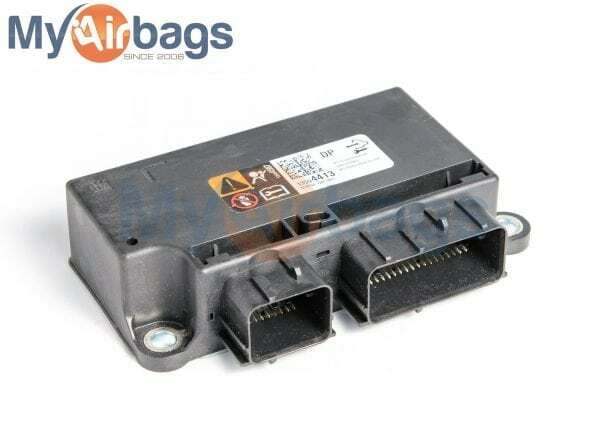 We advise our customers to compare the part numbers of their replacement airbag computer module to the vehicle’s original module; if the part numbers do no match, it is unlikely that the airbag module will work in the vehicle. Also, remember: the airbag module MUST BE FOR THE SAME VEHICLE IT CAME FROM. If for instance, the module is for a 2008 Honda Accord, the replacement must be for 2008 Honda Accord. Once the replacement airbag module has been correctly installed in the vehicle the airbag light may still turn on. Again, for the reasons detailed above, you need to verify that you have followed the correct steps and that other parts were not from a flood damaged vehicle. However, if you have done everything else successfully, the airbag module may need to be reprogrammed for the specific VIN of your car by that manufacturer’s dealership. This is why we always recommend that customers send in their original modules from their vehicles. Each module is coded for the VIN of the automobile it is in. The dealership in Oregon quoted me over $1500 to replace my “non-functioning” airbag module. My airbags re-set it and sent it right back. I re-installed it in 10 minutes. Total cost with my shipping was around $81 bucks. FIVE STARS! If I could give more, I would! Good service, fast shipping, thank you. These always work flawlessly when we get them back. Well From the First Phone Call, it was Great, I Shipped the Unit in ,it was Repaired and Sent Right Back to me … We Installed it and Problem Was Solved … I do Plan on Doing More Business in the Future, along with i am going to tell our Net Work of 21 Shops about this Service … Great Job ..!!! Quick turn around on these. Which we like and our customers like. I took my vehicle to the Honda Dealer, they asked 1200$ to clear the airbag light, even there was no code in the system. Myairbag fixed it for 40$. Great service thank you guys. Always fast service and we have never had an issue with anything we’ve had serviced. It was easy and fast. Price was right too. Worked as I had hoped for with a quick turn-around. I Appreciate the Good Service and It is working Great!! Great service and a fast turnaround! So for the service has been excellent and has saved my company money. My air bag modules always come back working perfectly. Quick and good service. Beneficial to be local too. Installed fixed part and all set to go! Very pleased with the Service, communication, and price. Very quick turn around time….will definitely use again. Always quick to get parts repaired and returned. Thanks.